Night bazaars have been set. And the streets of Hyderabad are abuzz with the crowd gorging on the delicacies which the month of Ramadan brings to Hyderabad. 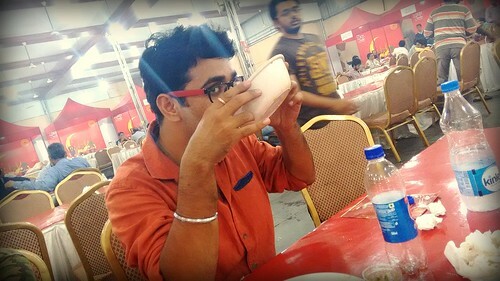 Here, there and everywhere the spirit of brotherhood is being celebrated over the taste of Hyderabadi Haleem. So much so has been impacting the aroma of these dishes that yours truly converted to a Non vegetarian after all! Haleem from Pista House We had this near Tolichowki where the waiters wave their hands to passing vehicles on the road and offer to serve them the Hyderabadi Haleem. 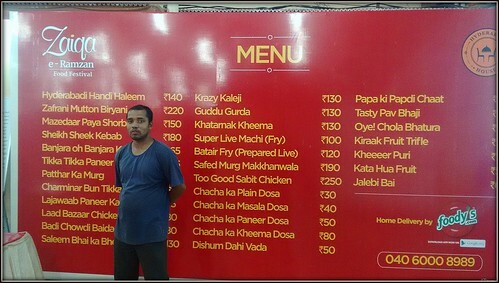 This has been trending in many areas of Hyderabad now with Pista House having many outlets through the city. 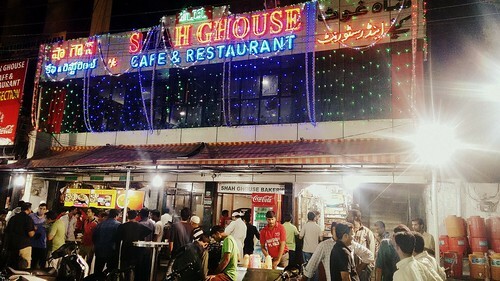 Shah Ghouse Pista House in Tolichowki se thodaich aage, just a little ahead of Pista House, is Shah Ghouse which is again very famous for the Hyderabadi Haleem. We had the Chicken Biryani and the sweet Phirni there. The place was full of activity till 3am during the beginning days itself of Ramadan, I’m sure you will have to queue up now. Hotel Shadab This one located in the old city Charminar area had waiting lines where the kids had slept in the laps of their moms and the benches! Go and try out the Garlic chickens and the Tangdi Kababs and the Chicken Hyderabadi Curry there. I think by now it goes without saying that their Haleem is a tasty thing! 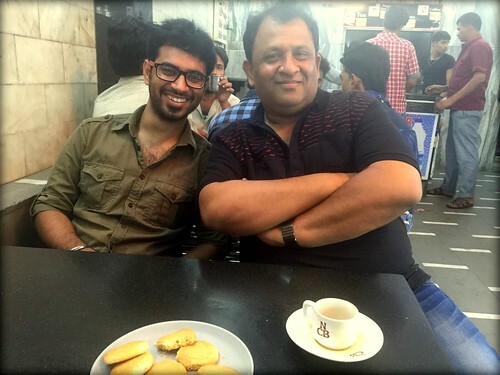 Cafe 555 Hands down – Haleem! And the Chicken and the Mutton Biryani…! Zaiqa, Hyderabad House This was one awesome find, thanks to my friends. Go looking for Pillar No. 47 on the flyover in Mehdipatnam and you will find this not-so-heard-of-yet-awesome place. 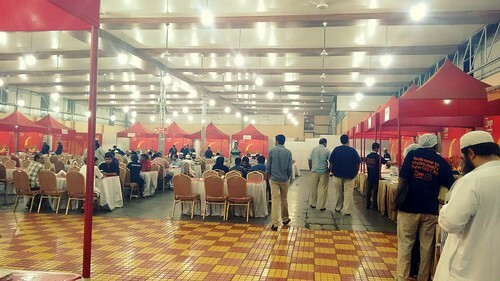 With the ambiance of a marriage hall, this place has the chairs and tables in the center while all the 4 sides have food stalls. 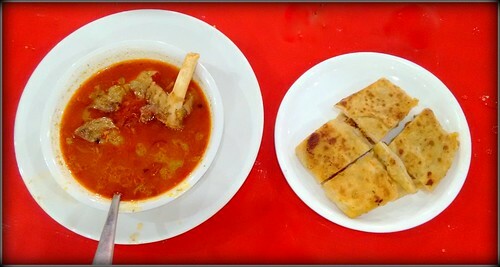 We treated ourselves with Pathar ka Gosht, Seekh Kabab, Paya Shorba, and Baide ki Roti (don’t miss) in the non veg items. In the desserts, we had Jalebi and Double ka Meetha while the Custard and the Gunjiya also seemed very inviting but our tummies had had their fill. With these having had, I still have places on my list like the Sarvi and lot other places around Charminar. We have not had enough of Shadab, so even that’s on the list. So, break some mental blocks about the fine dining and stuff like that, and go stand in some queues or on the roads to enjoy some of the best dishes of Ramadan. Also, there are many food walks, and the culture and photography walks being organized around the old city during the festive season. 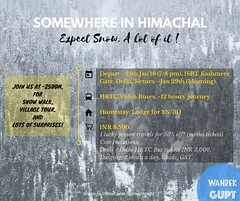 If you are in Hyderabad, do grab the opportunities while the stock lasts! Oh and yea, don’t forget to end your meals with a cup of Irani Chai and Osmania biscuits at Nimrah cafe! I’m sorry for the lack of photos here, but in my defense, we were more busy eating, you see! Like my posts? Do drop by my Facebook page and consider following the blog! You enjoyed all Ramadan delicacies.How come you missed Sewai ? I guess one of the best places to be in during Ramadan is Hyderabad. Am i Right? Lovely pics, some of the items from menu are my favorite ! Yes, Hyderabad is the place. We ship Haleem here through railways and airways! But hey, thanks for a peek into Hyd at this time. Now I’d like to go taste some Hyderabadi Haleem. Thanks! Yes, Ramadan food bazaars are now throughout the city, and as the Eid gets closer, the activity grows till later into the night…Yes, i was a vegetarian all this while, haha. I can see what you mean. Photographs take a back seat when we are eating delicious food. The Ramadan food bazaars are quite interesting. Aren’t they ? Yep, that was the case! 🙂 Thanks Sid.